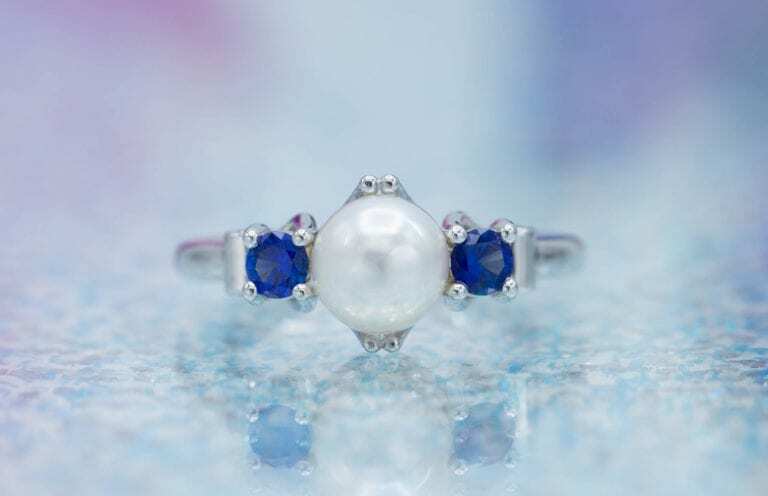 An overview on Labradorite Jewelry and Gemstones. Covers details and essential information on the physical properties and characteristics of Labradorite. Colors Body colors: colorless, yellow, gray, black, brown, greenish, blue. Specimens may also show schiller and labradorescent color effects. Notable in material from Oregon, better developed in darker colored stones. See “Identifying Characteristics” below. Biaxial (+). 2V = 85°. 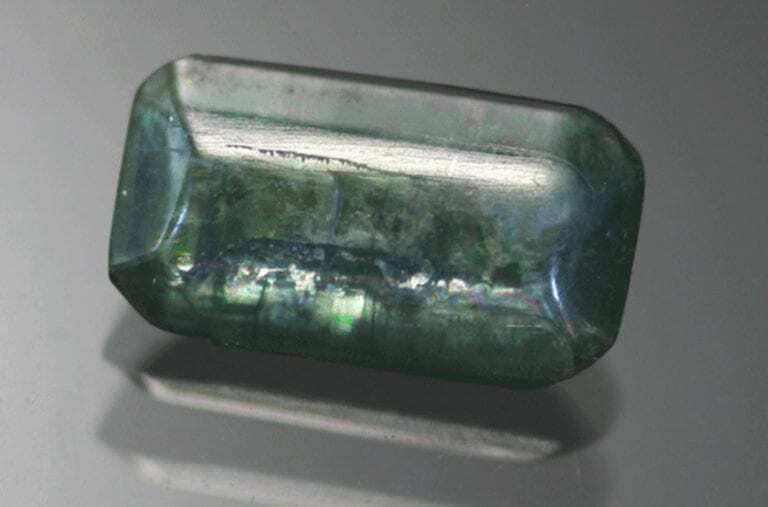 Of all the feldspars, none besides orthoclase is as frequently encountered as a faceted gem as is labradorite. 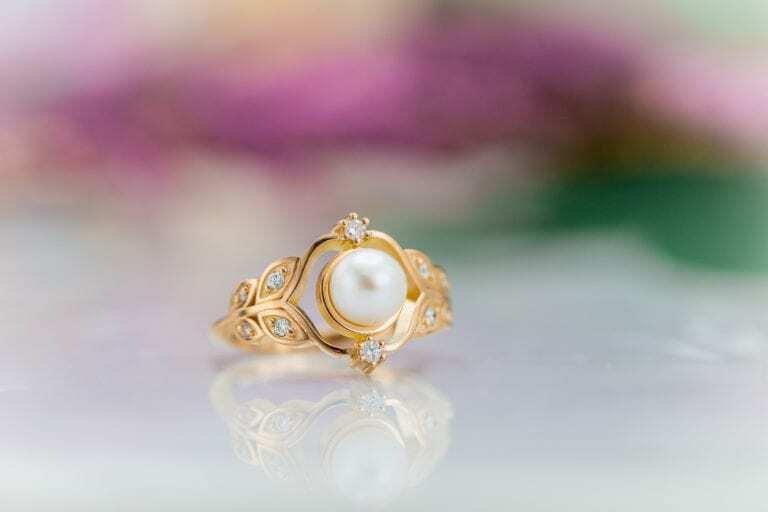 The material ranges in color from colorless to yellow, but inclusions of minerals such as hematite and copper create a wide range of other body colors. These are best known from localities in Oregon. In addition, the phenomenon of Schiller is best developed in the labradorite range of plagioclase compositions. 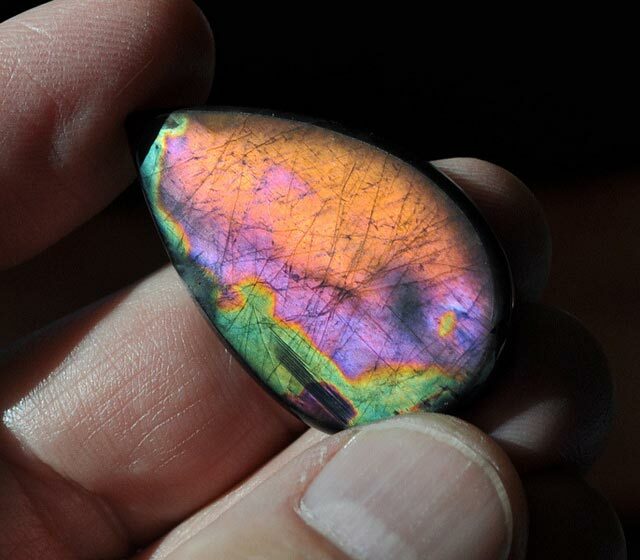 Translucent to opaque labradorite that shows blue, green, and golden Schiller colors is widely cut by hobbyists. Labradorite with Schiller is also a component of many dark-colored igneous rocks that are used in building and construction as facing materials. Such rocks are very attractive when polished because the blue sheen of the labradorite grains flashes out at many different angles. The Schiller in labradorite is similar to that in peristerite, but the color range includes blue, green, blue-green, gold, yellow, and purple. The color play is iridescent like the feathers of a peacock. Faceted labradorite makes a handsome, although unusual jewelry stone. It is as hard as moonstone or any of the other feldspars that are worn regularly in jewelry, but the cleavage is always worth minding. 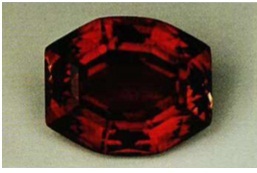 Gems larger than 20 carats can be considered exceptional. Oregon material is abundantly available in the 2-10 carat range. 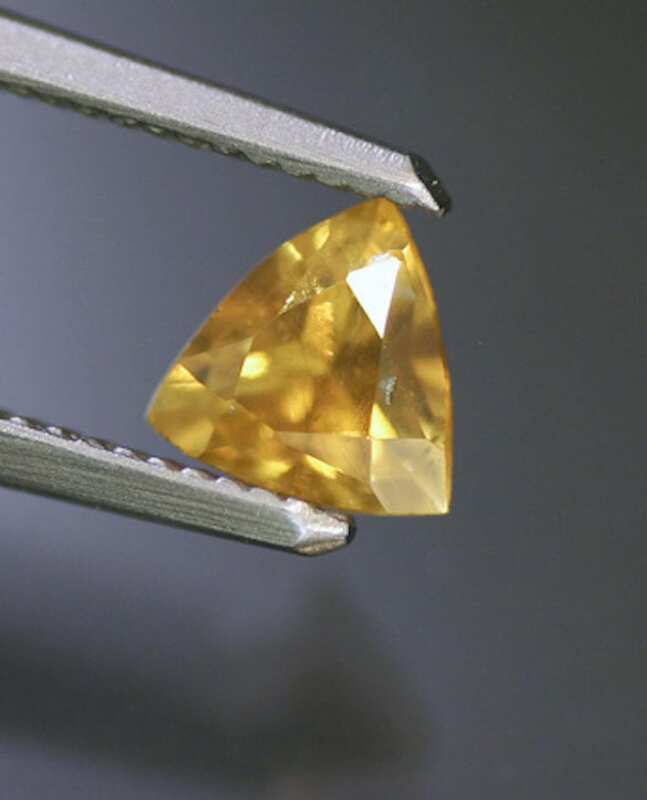 Oregon gems are colorless to pale yellow but often are green or red-orange with a pink Schiller. These odd colors are due to copper and lead, and the Schiller is due to colloidal copper. 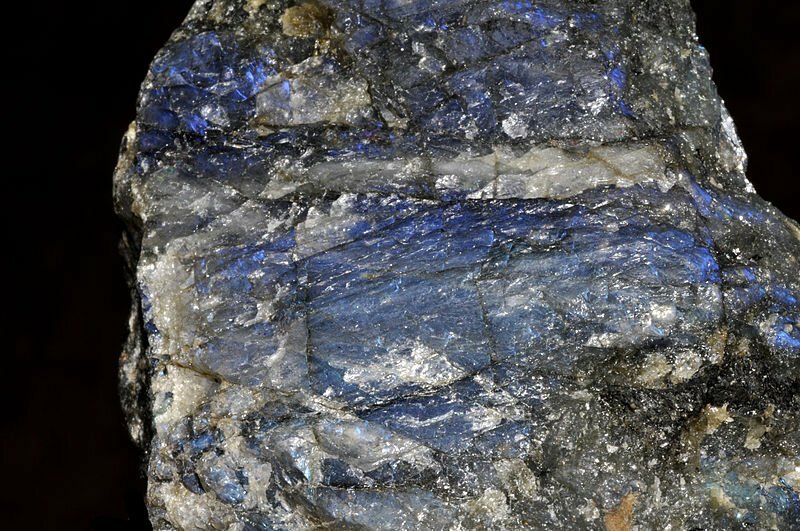 Labradorite was, of course, named for its occurrence in Labrador. Zircon and magnetite; also ilmenite and rutile tablets (Madagascar). 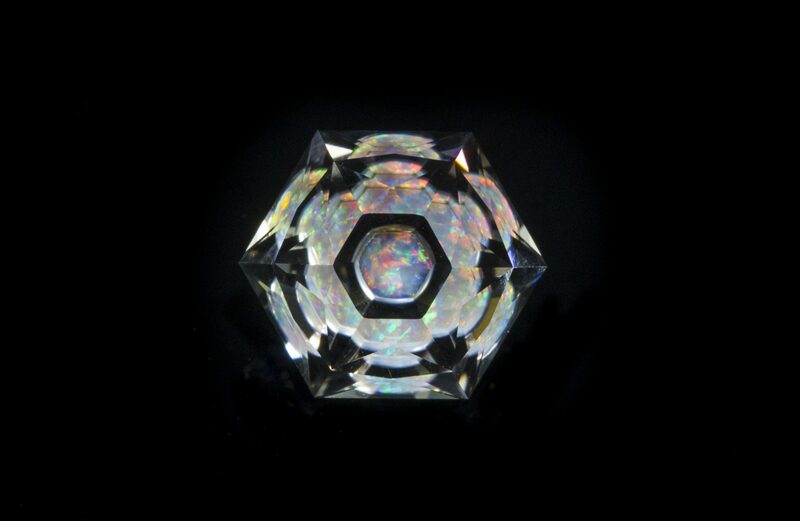 Hematite inclusions create an aventurescence or sparkly effect due to reflection off of parallel included flakes. This reflection creates a rolling sheen of golden red spangles, leading to the name sunstone. 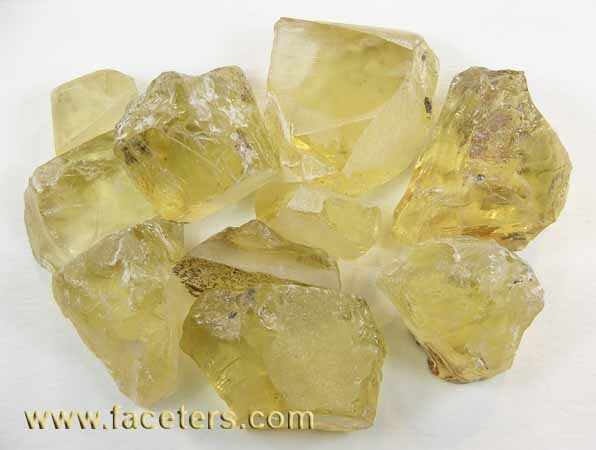 Sunstone is also characteristic of oligoclase and is discussed below. Microscopic particles of metallic copper and lead account for some of the unusual colors observed in Oregon labradorite. 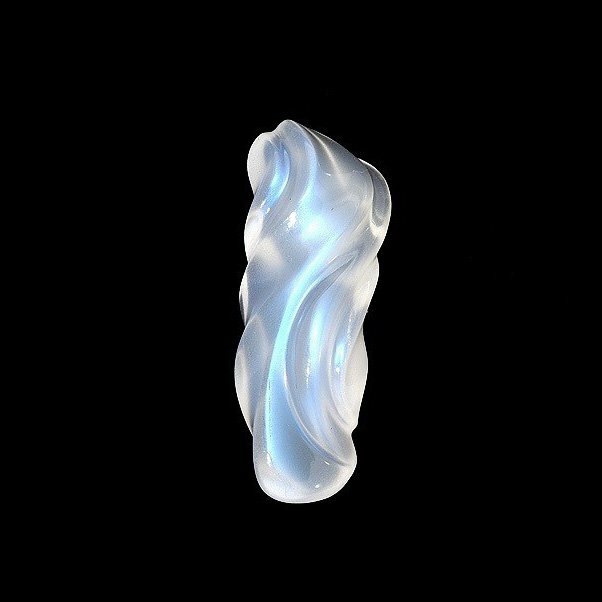 A labradorite moonstone is known from Madagascar. It has a blue sheen and the indices are: a= 1.550-1.553; γ = 1.560-1.561; birefringence 0.008-0.010; S.G. 2.70. FELDSPAR: Labradorite, Chihuahua, Mexico (36.45, 34.0, 24.26). Photo © Joel E. Arem, PhD, FGA. Used with permission. Labradorite is best known from Nain. Labrador: crystals here are up to 2 feet long, but are badly cracked. Modoc County, California: facetable crystals to 1 inch. Finland: fine Schiller, very intense; cut stones called spectrolite. Clear Lake, Millard County, Utah: facetable crystals. Australia: pale yellow, transparent material; indices a = 1.556, γ= 1.564; S.G. 2.695. Oregon: facetable; labradorite has the following properties: a = 1.559-1.563; γ = 1.569-1.573; birefringence 0.008; S.G. 2.71-2.73; material is Ab32.An68. FELDSPAR: Labradorite- “spectrolite,” Finland (~2 inches across). Photo © Joel E. Arem, PhD, FGA. Used with permission. Labradorite rocks are available in very large sizes, suitable for facings of office buildings. This material is also sometimes cut into cabochons. 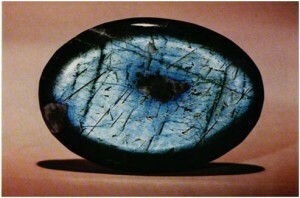 Labradorite in larger crystals, with uniform Schiller (rather than in smaller, randomly oriented grains) is frequently cut into cabochons by hobbyists. The best material for this purpose comes from Finland, but the material is not common and is fairly expensive compared to other feldspars. 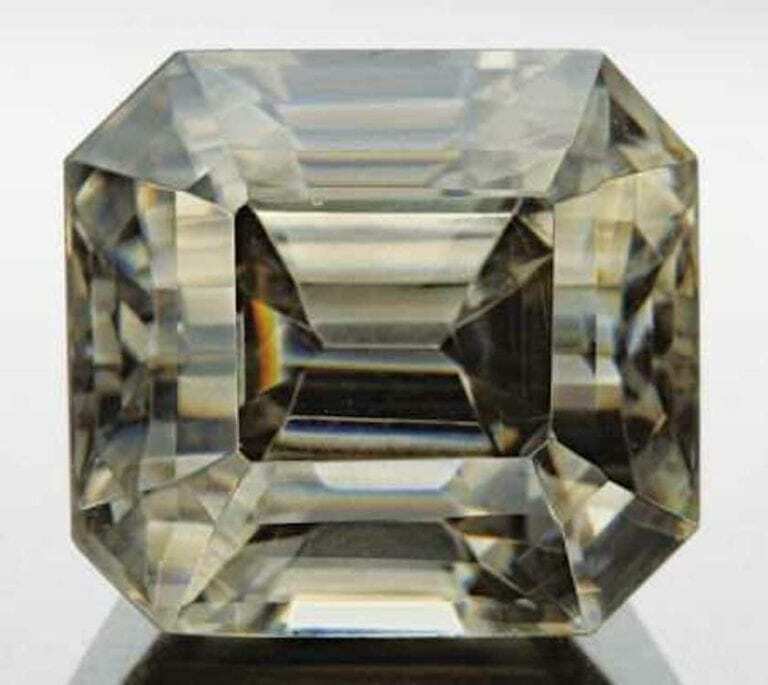 Faceted gems up to about 130 carats are known. It is likely that somewhat larger material exists, but fracturing of rough prevents the cutting of larger stones. Smithsonian Institution (Washington, D.C): 11.1 (yellow, Utah); 5.8 (yellow, Nevada); 30 (pale yellow, Idaho); 23.8 (yellow, Oregon); 39 (yellow, Oregon); 23.43 (yellow, Mexico). Private Collection: 62.5 (yellow, Mexico). Los Angeles County Museum (Los Angeles): 129 (yellow, Mexico). FELDSPAR: Labradorite- “sunstone,” Oregon (~ 14). Photo © Joel E. Arem, PhD, FGA. Used with permission. FELDSPAR: Labradorite – “sunstone,” Oregon, showing color range (~1 to 5). Photo © Joel E. Arem, PhD, FGA. Used with permission.